Tour Scotland Loch Melfort Oban and Argyll Holiday Cottage. The Kilchoan Estate enjoys an idyllic and peaceful setting, facing south on the north shore of Loch Melfort. Delightfully secluded near the end of a 5-mile single-track road, it commands magnificent views over the loch and the islands of Shuna and Luing, to Scarba and Jura beyond. From Kilchoan, one can explore the islands in the rowing boat provided or wander in the hills, discovering quiet lochs and havens abundant with wildlife. Loch trout fly fishing is available on two hill lochs, with riding, golf, water sports and steamer trips locally. Oban (35 minutes’ drive) offers shops, bars and restaurants. A choice of restaurants can be found within 7 miles. Tour Scotland Port Drishaig Tighnabruaich Oban and Argyll Holiday Apartments. With stunning views over the waters of the Kyles of Bute and the islands of Bute, Inchmarnock, Holy Isle and Arran, this holiday apartment offers an ideal place to relax and unwind, whilst enjoying the many outdoor activities and diverse wildlife the area has to offer. Ideally located to provide that remote feeling, whilst still within easy distance of many interesting places to visit in Argyll. Tighnabruaich itself provides a selection of shops, pubs, and a local bistro. Sailing, golf, cycling, fishing and walking are popular pastimes in the area. Shop, pub and restaurant 500 yards. Tour Scotland Moy Achnamara Oban and Argyll Holiday Cottage. Situated within a wooded glade on the owner’s farm overlooking Loch Sween, Argyll, this comfortable holiday cottage offers opportunities to watch deer from the windows or explore the seashore where seals and otters may be spotted playing. The surrounding area offers good walking, cycling, fishing and lovely sandy beaches, while Lochgilphead (16 miles) has shops, restaurants, an indoor swimming-pool and golf. It is a short walk to historic Castle Sween. Take the opportunity to view the beavers in Knapdale Forest or drive to the award-winning archeology museum in Kilmartin. Enjoy a seafood meal in picturesque Tayvallich or Crinan and wonderful sunsets back at the cottage. Tour Scotland Kames Tighnabruiach Oban and Argyll Holiday Cottage. Close to beach. This courtyard, stone built detached cottage provides a very good level of holiday accommodation with many original features and is situated in the 640-acre Ardlamont Estate, where shooting and fishing is available, stables and grazing for guest’s own horses, and access to the beach is within walking distance. Located in the Argyll countryside and close to Tighnabruaich village on the west coast of Scotland, this property is an ideal base from which to explore the surrounding countryside, relax and unwind, whilst enjoying the many outdoor activities and wildlife the area has to offer as well as the selection of shops and tea rooms. It also has its own sailing school and golf course, as well as professionally skippered boat taking fishing parties out on day trips. There are a number of walks in the area that take in the panoramic views and some beautiful, unspoilt beaches. Stabling for up to 3 horses is available at cost through the owner. Shops, pubs and restaurants 4 miles. Tour Scotland Avich Portsonachan Oban and Argyll Holiday Apartments. Excellent lochside setting amidst a small luxury development on the shores of Loch Awe this detached single-storey cedar chalet (Kilchurn, W42053) and first floor apartment (Avich, W42054) offer first class holiday accommodation with superb uninterrupted views over Britain’s longest fresh water loch and the hills. Guests at Kilchurn can simply relax on the veranda taking in the breathtaking scenery and wonderful wildlife, whilst Avich is set within a Victorian mansion house that has been tastefully furnished in keeping with the house style. Enjoy a walk through the grounds and garden to a small private harbour on the loch. Private fishing, cycling, walking and golfing can all be enjoyed in this scenic area. Glencoe offers winter skiing and mountain climbing. Oban, 35 miles, offers day trips to Mull, Iona or Kerrera. Inveraray, 12 miles, has a splendid castle, woollen mills and tea rooms. Fort William is also highly recommended. Guests are welcome to bring their own boat and use slipway at jetty. Shop 10 miles, pub and restaurant 1 mile. Tour Scotland Achnamara Oban and Argyll Holiday Cottage. Enjoying lovely views and sunsets over Loch Sween and Jura, this comfortable holiday cottage stands beside natural woodland on the owner’s working farm. This secluded peninsula is abundant with birds, flowers and wildlife, with seals, otters, deer and badgers. There are several sandy beaches and opportunities for walking, cycling, riding and boating. Ancient Castle Sween, Kilmartin Glen and the ruined chapels at Kilmory and Keills add archaeological interest. There are opportunities to view the beavers in Knapdale Forest or visit Taynuish Nature Reserve. Lochgilphead (16 miles) offers a golf course and an indoor swimming-pool, while a seafood meal can be enjoyed at picturesque Tayvallich or Crinan. Tour Scotland Sandpiper Tighnabruaich Oban and Argyll Holiday Cottage. These three Scandinavian style holiday lodges boast a stunning beachfront location overlooking the Kyles of Bute and are situated close to Tighnabruaich village on the west coast of Scotland and offer 66 acres of natural, unspoilt countryside to explore. With coastal walks direct from the property, sailing school (must be pre booked) sea fishing from the point, slipway for boat launching and childrens play park, all on site. Visitors are free to explore the points of interest that the west coast of Scotland has to offer - from the old jail and castle in Inverary to Oban. Tighnabruaich and Cowal provide some of the most stunning scenery in the world, ideally located to provide that remote feeling, whilst still being within easy distance of many interesting places to visit. A short ferry trip, for example, leads to the popular village of Tarbert on Loch Fyne and then on to explore the Kintyre Peninsula, which makes a fine day trip! Sailing, golf, cycling, fishing and walking are popular pastimes in the area. This is an ideal place in which to relax and unwind, whilst enjoying the many outdoor activities and diverse wildlife the area has to offer. Tighnabruaich itself provides a selection of shops for local supplies including two grocers/general stores, a post office, tea rooms, gift shops and a doctor’s surgery. There are also several pubs, all of which serve food, and a special local bistro serving seafood. There are a number of well sign-posted walks in the area that take in the panoramic views and some beautiful, unspoilt beaches. Shop, pub and restaurant 3 miles. Tour Scotland Island View Benderloch Oban and Argyll Holiday Cottage. Situated peacefully on the hillside with views of Loch Creran and the Marvern Hills, this bright and airy property makes an ideal holiday home for families. Standing detached, the shore line lies about 500 yards away, with a lovely sandy beach to enjoy at Tralee (2 miles). The location makes it an excellent base for touring Argyllshire and visiting magnificent Glencoe, Oban and Fort William. Day trips to the Isles of Mull, Iona, Colonsay and Lismore are possible. For animal lovers, there is a sealife centre close by as well as a rare breeds park in the area. Additionally, Barcaldine Castle, Dunstrafferage Castle and McCaigs Tower are other places of interest to visit. Tour Scotland Ford Lochgilphead Oban and Argyll Holiday Cottage. This delightful detached holiday cottage has every amenity, having been tastefully modernised yet retaining its rural character. It offers an idyllic holiday, with spectacular walks to beautiful Loch Awe, to hidden ruined chapels, a hilltop castle and the hundreds of Neolithic monuments just 3 miles away. Fishing, deer stalking and bird watching are local activities: an osprey nest is 500 metres away - a photographer’s paradise. Shop and pub 3 miles. Tour Scotland Bridge of Awe Oban and Argyll Holiday Cottage. Resting 30 yards above the River Awe with unspoilt views of the river and mountain scenery, this well maintained holiday property is only 14 miles from Oban and 2 miles from Taynuilt, it is conveniently located for touring. While fishing, sailing, horseriding, walking and cycling are available. An hours drive to Fort William and half an hours drive to Inveraray, or take the ferry from Oban to the Isle of Mull. Shop and pub 500 yards. Tour Scotland Tarbert Oban and Argyll Holiday Cottage. Ideal touring base for discovering Oban and Argyll. With elevated loch views, situated in a small lodge park and boasting elevated, panoramic views over West Loch Tarbert to the islands beyond, these luxury single-storey, detached holiday lodges are furnished to a good standard and offers an ideal base from which to explore the surrounding area. Close by there are many quiet and sandy beaches to explore and there is easy access to the Isles of Islay, Arran and Jura - all of which are well worth the visit. Jura, one of the wildest and most mountainous of the Inner Hebrides, is an ideal place to go for peace and quiet and some great walking. Islay is a great place to visit for wildlife enthusiasts, as it boasts a large RSPB reserve, a wintering population of barnacle and white-fronted geese, and a Wildlife Information Centre. The picturesque Crinan Canal offers beautiful, peaceful walks and Lochgilphead has indoor sports facilities, horse riding, golf and cycling. Close to the traditional town of Tarbert with an attractive little bay backed by rocky hills, where both fishing and sailing are available. Shop, pub and restaurant 2 miles. Tour Scotland Port Appin Oban and Argyll Holiday Cottage. Set in a magnificent location close to the shore and with views over the sea to the Morvern Hills, this detached holiday cottage lies in Port Appin and is ideally placed for exploring this wonderfully scenic area and enjoying peace and quiet of the countryside. A short way along the road, a ferry over to the Isle of Lismore can be taken, or splendid meals can be enjoyed in some of the famous restaurants here. There are plenty of walks along single track roads or visits can be made to nearby Oban, Isle of Mull, Glencoe and Rannoch Moor, all of which are within easy reach. Riding, boat and cycle hire available locally. Tour Scotland Benderloch Oban and Argyll Holiday Cottage. This holiday cottage is delightfully located on a small farm for peacefulness, just 1 mile from Tralee beach overlooking Ardmucknish Bay. An ideal base for touring with Oban being the main ferry terminal for the islands of Mull, Iona and Colonsay etc. Loch and sea fishing, Sea Life Centre, Rare Breeds Park, pony trekking, forest walks, diving and gliding all in easy reach. Family run restaurant adjacent. Shop 1 mile, pub 2 miles. Tour Scotland Seil Island Oban and Argyll Holiday Cottage. Situated on beautiful Seil Island with wonderful views of the surrounding countryside. This lovingly restored detached cottage retains the character of the traditional croft house. Seil Island is one of the most peaceful and tranquil spots in the west highlands but still retaining easy access to the neighbouring Isles of Luing and Easdale. Oban is a half an hours drive away and is a buzzing town and the hub for trips to Mull and Iona. Wonderful area for cycling, hill walking touring, bird watching and fishing. Shop 1 mile, pubs 2 1/2 miles. Tour Scotland The Antonine Wall. Tour Roman Scotland. Built across central Scotland in the mid 2nd century AD on the orders of the Emperor Antoninus Pius, the Antonine Wall marked the north-western frontier of the Roman Empire. Running for 60km from modern Old Kilpatrick on the north side of the River Clyde to Bo ness on the Firth of Forth, it consisted of a turf rampart fronted by a deep ditch, with forts linked by a road called the Military Way. It was through the gates of these forts and fortlets that many Roman goods passed into the lands of Caledonia beyond RCAHMS has worked with Historic Scotland on the nomination to produce a map of the Antonine Wall, showing its course on a modern base at a scale of 1:25,000 and including areas where it can be visited. The Map highlights elements of the archaeology of the monument, provides additional information on related museums and reading, and is the essential resource and companion for anyone interested in visiting and studying the Antonine Wall. The Antonine Wall . 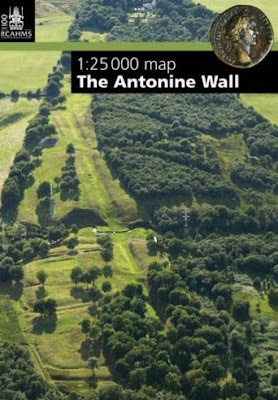 The Antonine Wall. As the most advanced frontier construction of its time, and as definitive evidence of the Romans' time in Scotland, the Antonine Wall is an invaluable and fascinating part of this country's varied and violent history. For a generation, from about 140 to 160 AD, the Antonine Wall was the north-west frontier of the Roman Empire. Constructed by the Roman army, it ran from modern Bo'ness on the Forth to Old Kilpatrick on the Clyde and consisted of a turf rampart fronted by a wide and deep ditch. At regular intervals were forts connected by a road, while outside the fort gates clustered civil settlements. Antoninus Pius, whom the wall was named after, reigned longer than any other emperor with the exception of its founder Augustus. Yet relatively little is known about him. In this meticulously researched book, David Breeze examines this enigmatic life and the reasons for the construction and abandonment of his Wall. The Antonine Wall . Tour Scotland Melrose Abbey, Borders of Scotland. This is the first authoritative account of Scotland’s greatest medieval monastery. 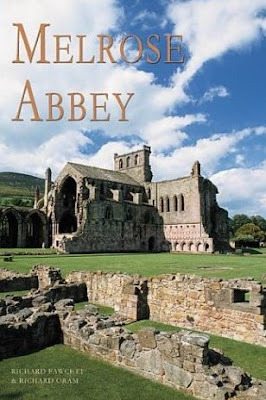 The Cistercian abbey of Melrose is perhaps the most beautiful of all Scottish monasteries. Melrose Abbey . Melrose Abbey is a Gothic style abbey in Melrose, Scotland. It was founded in 1136 by Cistercian monks, on the request of King David I of Scotland. It was headed by the Abbot or Commendator of Melrose. The ruins of Melrose are widely considered among the most beautiful of religious houses in the United Kingdom, being especially notable for a wealth of well-preserved figure-sculpture, and its architecture is considered to be some of the finest in Scotland. The east end of the abbey was completed in 1146. Other buildings in the complex were added over the next 50 years. The abbey was built in the form of a St. John's cross. Alexander II and other Scottish kings and nobles are buried at the abbey. The embalmed heart of Robert the Bruce is also said to rest on the abbey's grounds, while the rest of his body is buried in Dunfermline Abbey. In 1812, a stone coffin that some speculated was that of Michael Scot the philosopher and "wizard", was found in an aisle in the abbey's south chancel. It is known for its many carved decorative details, including likenesses of saints, dragons, gargoyles and plants. On one of the abbey's stairways is an inscription by John Morow, a master mason, that says: "Be halde to ye hende" (Keep in mind, the end, your salvation), which has become the motto of the town of Melrose. Tour Scotland Hebridean Island Hopping. The Western Isles offer Scotland's unique take, large skies, crashing seas, beautiful beaches and a diverse landscape. Each island has a unique and individual character, landscape and history which have attracted and intrigued travellers and visitors for hundreds of years. 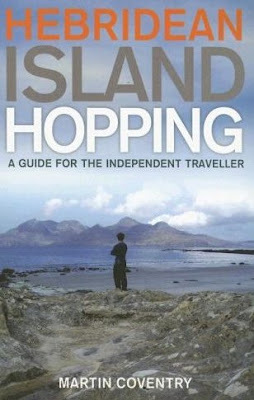 Hebridean Island Hopping covers everything needed to get the most from a visit to any of the Western Isles, all packed into one handy volume. Illustrated throughout with photographs, maps, and ferry points with a comprehensive index, this is an eminently practical, portable and essential guide for the independent traveller. Previously published by Polygon, this is a completely rewritten and updated version of a bestselling book. The islands covered include: Outer Hebrides, Lewis; Great; Bernera; Shiant isles; Harris; Scalpay; Taransay; St Kilda; North Uist; Berneray; Baleshare; Benbecula; Grimsay; South Uist; Eriskay; Barra; Vatersay; and Mingulay/Berneray. Inner Hebrides include: Skye; Raasay; Rona; Summer Isles; Isle Martin; Rum; Eigg; Canna; Muck; Coll; Tiree; Mull; Iona; Ulva; Staffa; Treshnish; Earraid; Lismore; Kerrera; Seil; Easdale; Luing; Shuna; Colonsay/Oronsay; Jura; Islay; Sanda; Gigha; Bute; Cumbrae; Arran; Holy Island; and Ailsa Craig. Hebridean Island Hopping: A Guide for the Independent Traveller . The Scottish Islands. The Bestselling Guide to Every Scottish Island. The Scottish Islands: The Bestselling Guide to Every Scottish Island . Island Guide to Lewis and Harris describes everything the visitor needs to know about the islands' heritage, landscape, climate, flora and fauna. It contains fascinating information on all the key places of interest, from areas of outstanding beauty such as the mountains, freshwater lochs and moorland to historical landmarks such as the Callanish stone circle. It is illustrated with over 100 superb colour photographs showing every aspect of the island and its people. Lewis and Harris (Pevensey Island Guides) . Tour Scotland Strachur Oban and Argyll Holiday Cottage. Built in 1898, Springburn enjoys an interesting history – George Bernard Shaw stayed here. The holiday cottage has since been lovingly renovated to a high standard and lies within the grounds of the owners’ home with its sitting-out area. With wonderful views, it is just 100 yards from Loch Fyne’s beach. The busy harbour town of Oban has good shops and restaurants. Excellent walking, fishing, golf and gardens to explore. Pubs and tennis court 1½ miles. Tour Scotland Glenview Appin Oban and Argyll Holiday Cottage. Open fire. Situated in Appin, surrounded by breathtaking scenery, this delightful single storey holiday villa stands within its own large lawned garden, and boasts spacious accommodation throughout. Set almost midway between Oban and Fort William it is an ideal base from which to explore the beauty of the surrounding area. Walking and cycling are popular activities, with horse riding, boat and cycle hire available locally. Golf courses can be found in Oban, Ballachulish and Fort William. Glencoe and Fort William offer mountain climbing and walking and skiing in season. Oban (19 miles), offers boat trips to the Islands, including Mull and Iona. Shop, pub and restaurant 3 miles. Tour Scotland Lower Tower Lochaweside Oban and Argyll Holiday Apartment. Late 16th century Ardbrecknish House is in a magnificent Highland setting with wonderful views of mountains and glens. These attractive holiday properties are set amid 20 acres of mature woodland close to beautiful Loch Awe - 26 miles long and Britain’s longest freshwater loch. A whole host of indoor and outdoor amenities are available on site, and although the setting is quiet and peaceful, it is within easy reach of restaurants, shops and golf courses, making an ideal holiday location and a perfect touring base. A visitors’ reception/library area provides a wealth of information on the local history, archaeology, wildlife, gardens, forest and hillside walks, as well as the year-round activities available around Argyll and the West Highlands. Tour Scotland Cobblers View Lochgoilhead Oban and Argyll Holiday Cottage. Situated in an elevated position on the banks of Loch Goil, Argyll, this spacious detached bungalow offers an attractive enclosed garden and superb views over the loch. This is an area of mountains and woodlands with lochside and forest walks from the door. Ideal for families, activities locally include pony trekking, 1/4 mile, sea angling, permit river fishing and boat hire. Indoor leisure facilities, childrens play areas, 9 hole golf course at Drimsyne, 1/2 mile. Shop and pub 1/2 mile. Tour Scotland Cairnbaan Lea Oban and Argyll Holiday Cottage. This modern holiday cottage is situated looking over the Crinan canal in a beautiful area of Argyll. Enjoy the view from the property and watch the many boats sailing by. Walk miles along the canal banks to Crinan. Explore this peninsula with rugged coastline and lochs. Lochgilphead, 3 miles, has local shops and sport facilities. Opportunities for sailing, fishing, crafts and visiting archaeological sites. Oban, 28 miles, bustles with shoppers and travellers to the isles of Mull, Iona and Staffa. Shop 2 miles, pub restaurant 400 yards. Tour Scotland Bridge of Orchy Oban and Argyll Holiday Cottage. Ideally located for exploring the West Highlands. Stance Cottage, a 150 year old shepherd’s cottage, has been modernised and furnished to a good standard. At the gateway to Glen Orchy, Argyll, renowned for its white water canoeing, this is a popular part of the Western Highlands. The detached holiday cottage is ideally situated for visiting nearby Glencoe with its mountains and ski resort and Oban with its ferries to numerous islands. Fishing, sailing, walking, climbing and cycling are popular pursuits. Shop 6 miles, pub and restaurant 50 yards. Tour Scotland Lochgoilhead Oban and Argyll Holiday Cottage. This detached holiday bungalow is set in its own grounds with views over Lochgoil in the Argyll Forest Park. This area of mountains, woodlands and streams, has lochside and forest walks from the door. Sea angling in the loch and river fishing by permit. Indoor leisure facilities and 9 hole golf course at Drimsynie, 1 mile. Pony trekking 1/2 mile. Shop 2 miles, pub 1 mile. Tour Scotland Grogport Carradale Oban and Argyll Holiday Cottage. In a cliffftop location, this detached, single-storey holiday cottage offers spectacular views over Kilbrannon Sound to the Isle of Arran and beyond. Surrounded by woodland, with direct access to the shore and a private bay offering regular sightings of seals, otters, sea birds and porpoise. This is a wonderful area for cycling, pony trekking, golf, swimming and watersports. Easy access to the isles of Mull, Arran, Gigha, Islay and Jura. Sandy beach ½ mile. Pub 5 miles. Tour Scotland Mull Oban and Argyll Holiday Apartment. For those seeking to enjoy an outdoor lifestyle, there can be no better choice than this stunning part of the Mull. Wonderful walking, climbing, sailing and both lake and river fishing can all be enjoyed locally, with sea fishing on the doorstep, and riding, cycle hire and golf also available in the vicinity; and for those visiting during the winter months, there is even skiing from Fort William. All in all, this is an ideal base for enjoying the pleasures of the great outdoors or just savouring the spectacular scenery of the Western Highlands. Tour Scotland Carradale Oban and Argyll Holiday Cottage. Lying peacefully on the banks of the River Carra is this detached holiday property with sea views from some rooms. The fishing village of Carradale offers a 9-hole golf course, shops, hotel and restaurants. The village also offers a harbour with a small fishing fleet, a wildlife reserve. The ferry for the Isles of Arran is just a half hour drive. Shops 1½ miles, pub and restaurant ½ mile. Tour Scotland Glen Massan Dunoon Oban and Argyll Holiday Cottage. Panoramic views and set in a National Park. A warm charming cottage, attached to the owners house, located on a working farm at the foot of An Creachan, with spectacular panoramic views to the Firth of Clyde and The Holy Loch. Ideally situated for walking, climbing and cycling with numerous routes available from the property. An ideal base for touring Argyll or for a more relaxing day enjoy the privacy and tranquility, with wildlife in abundance. Indulge yourself in a range of outdoor leisure activities including fishing, quad biking, clay shooting and much more. Dunoon (8 miles) has shops, restaurants, cinema and swimming pool. Shops, pubs and restaurants 4.5 miles. Tour Scotland Harbour House Crinan Oban and Argyll Holiday Cottage. With magnificent views across the Sound of Jura, Scarba and Mull, this listed building, dating from 1815, stands at the water’s edge in a sheltered peaceful bay known as Crinan Harbour. Attached to the owner’s home, it retains many original features, to provide very comfortable and spacious holiday accommodation on three floors. Perfect for family holidays, the house boasts an established garden with a sitting-out area overlooking the bay. Fascinating walks from the house allow visitors the opportunity to explore this area of great natural beauty and to observe the abundant local wildlife, including small red deer, owls, otters and seals. Harbour House is also ideally situated for all forms of boating, sailing, canoeing and diving, and there is a small slipway in front of the house for those wishing to bring their own boats. The famous Crinan Canal flows into the sea just around the corner, and offers quayside coffee shop and bar. There are several excellent restaurants in the area, including the renowned Crinan Hotel. Tour Scotland But n Ben Craignure Oban and Argyll Holiday Cottage. An ideal gathering place for all the family, the impressive and spacious Ardura Lodge has a very large living room with fireplaces at each end, a piano, lots of family games and plenty of space to dance a reel during the festive season. The newly decorated and refurbished Ardura Cottage provides single-storey holiday accommodation for couples and families. The newly renovated But ’n Ben - the old fashioned name for a Scottish rural cottage of two rooms - is cosy and comfortable, originally the shepherd lived here. All are perfect for lazy days indoors, or as comfortable retreats after energetic outdoor pursuits around the Island Of Mull. Excellent hill walking can be enjoyed in the area – the view from the top of Cruach Ardura is well worth the 45-minute climb. Craignure (6 miles) provides a food shop, garage, post office, tourist information centre, pub and restaurant, and is the car ferry port to Oban. Ardura is a great base for visiting Iona, Tobermory and the local castles of Duart and Torosay, with its beautiful garden. Also nearby you will find a bird of prey centre, swimming pool, gym, health spa, miniature railway, golf courses and sandy beaches. Tour Scotland Tralee Oban and Argyll Holiday Cottage. On the beautiful west coast of Scotland, near the bustling fishing town of Oban with an array of shops, bars and restaurants, Island View is an ideal base for exploring the region. Offering spacious holiday accommodation, this croft house has been decorated and furnished to a high standard, and lies in the pretty village of Benderloch (just yards from Tralee beach) with outstanding panoramic views across the bay to the islands beyond. The long sandy beach is reached by a short walk along a country lane. There are plenty of forest walks, many of them suitable for cycling, and other popular activities in the area include golf, sailing, canoeing, rally karting and fishing. Tour Scotland Brenfield Croft Ardrishaig Oban and Argyll Holiday Cottage. This charming single storey holiday cottage, end of a row of three, is situated amid the superb scenery of Scotlands west coast with their own private beach and hot tub (shared with other guests on a rota basis). There are many sites of historical interest within easy travelling distance. The Mull of Kintyre shoreline and the famous Machrihanish golf course are only a short drive. Pony-trekking, boat hire and boat trips are available at the cottage. Further activities include sea angling, fly fishing and water skiing (subject to availability). Wildlife enthusiasts will find much of interest and could spot the occasional shy Roe Deer, Sika and Red Deer. Tour Scotland Glenforsa Oban and Argyll Holiday Cottage. Offering panoramic views of the Sound of Mull and Ardnamurchan peninsula, this modern, architect-designed detached house is situated in large woodland gardens. Faoileann Ghlas, in a perfect location by the shore, provides stylish facilities and commitment to the highest standards which combine to create an exceptional holiday experience. With stunning sea and mountain views, Faoileann Ghlas offers an idyllic holiday retreat. The property is furnished to reflect the higher expectations of today’s discerning traveller, providing every contemporary comfort with soft, neutral colour schemes, quality bed linen and towels, natural colour carpets and solid oak flooring. The jewel in the crown is the unusual ‘glass-walled’ living room affording uninterrupted views of the Sound of Mull and beyond. Tour Scotland Skipness Oban and Argyll Holiday Cottage. Situated just yards from the beach, this traditional stone built detached holiday cottage is located in the quiet coastal village of Skipness. With spectacular views over Kilbrannan Sound to the Isle of Arran with sightings of seals, otters, sea birds and porpoises. The village of Tarbert is 13 miles away with shops, restaurants, golf, sea fishing and riding. Campbeltown offers two whisky distilleries, museum and heritage centre. Shop 100 yards, pub 11 miles. Tour Scotland Island Of Lismore Oban and Argyll Holiday Cottage. Idyllically set on the beautiful island of Lismore, overlooking the sea and hills of Appin, this converted steading, adjoining another property, is spacious and full of character. Surrounded by spectacular scenery, the holiday property stands just 100 yards from the passenger ferry slipway, giving easy access to the mainland with a 10-minute crossing time. There is sea fishing on the doorstep and an abundance of wildlife in its natural habitat, including otters and seals. This breathtaking island is also very popular for walking and cycling. Port Appin offers excellent restaurants with good shellfish. The popular bustling town of Oban known as the ‘Gateway to the Isles’ is half an hour’s drive. Tour Scotland Garden Cottage Appin Oban and Argyll Holiday Cottage. Superbly situated in an Area of Outstanding Natural Beauty, mid-way between Oban and Fort William, these two delightful 19th-century properties (Garden Cottage UHS, The Coach House UKS) each enjoy spectacular, far-reaching views over Loch Linnhe towards the Isles of Mull, Lismore and Shuna. Comfortable and well-equipped, they are set in a pretty courtyard with the owners’ home, just half a mile from a shingle beach with riding and a water sports/boat hire centre (run by the owner), and enjoy shared use of a large garden and games barn. Pubs, shops and excellent restaurants, 5 miles. Sandy beaches 5 miles. Sea fishing locally. Free use of a rowing boat. Tour Scotland Ardmaddy Oban and Argyll Holiday Cottage. "Breathtaking views over the Sound of Seil". This 15th-century castle enjoys an idyllic lochside location and is set amongst the unspoilt hills and glens of a quiet peninsula overlooking Seil Sound, about 12 miles south of Oban. Ardmaddy, once a MacDougall castle, was acquired by the Campbells of Breadalbane in the late 17th century to form the western bastion of their estates, which at that time extended as far east as Taymouth Castle in Perthshire. This magnificent defensive position grants today’s (more peaceable) visitors an outstanding location. Tour Scotland South Lochaweside Oban and Argyll Holiday Apartments. Magnificent setting in mature woodland by Loch Awe, Argyll. Ideal area for fishing, walking and cycling. Tennis court, children’s play area, pool table and darts. Traditional bar - ideal for family functions. Motor boats, rowing boats and canoes for hire, 300 yards, launch facility. Tour Scotland Glenegedale Lotts Oban and Argyll Holiday Cottage. Situated on the beautiful Isle of Islay, just 6 miles from Port Ellen, this detached, single-storey, holiday cottage has outstanding views across the island and towards Laggan Bay. Islay is known as ‘The Queen of the Hebrides’ and is the southernmost island of the Inner Hebrides, with a dozen sandy beaches, several historical sites and an abundance of wildlife. Famous worldwide for some of the finest malt whiskies in the world, and a popular destination with bird-watchers. Local activities include golf, diving, pony trekking, fishing, stalking, cycling and walking. Pub 5 miles. Tour Scotland Island Cottage Campbeltown Argyll Holiday Cottage. In a superb, secluded location by the sea on a 160-acre private island in Argyll, these three unique holiday cottages enjoy stunning views. Otter and Island Cottages are an adjoining pair of cosy and spacious lighthouse keepers’ cottages (the lighthouse is now automatic), while The Lookout is a former wartime lookout post situated 100 yards away from the lighthouse enclosure. This cottage has an extra sitting-room and sun terrace, formed from the original lookout, with superb long-distance views from windows all around. Otter and Island Cottages share a walled enclosure with the neighbouring caretaker, while The Lookout has its own area of lawn. Set at the northern tip of Davaar Island, they are connected to the mainland by a causeway, revealed by the sea for 6 hours at low tide. On arrival and departure, and for arranged shopping trips, visitors will be ferried by Landrover across the causeway (leaving their cars at the quayside). Once on the island, the mainland is just 30 minutes across the causeway, and Campbeltown, with good shops and restaurants, is a further 2 miles by car. Tour Scotland Arduaine Oban and Argyll Holiday Cottage. A well presented chalet bungalow, situated in lovely gardens sitting area and a stream, in an AONB. Beautiful view out to the west over Luing and Jura. Great for enjoying magnificent sunsets. Visit the town of Oban, take trips by ferry to Mull and Iona, evening cruise to Colonsay with dinner, or visit Arduaine Gardens (NT) close by or just relax and enjoy the splendid holiday location on the terrace. Shop 4 miles, pub 200 yards. Tour Scotland Crinan Ferry Oban and Argyll Holiday Cottage. Crinan House is an excellent base from which to explore Argyll and the Western Isles. Many places of interest are within easy reach, including Kilmartin House Museum and the Ancient Standing Stones and Circles. Forest trails and hill walks amidst the Inverinan and Knapdale forests beckon, and there is always the pleasure of returning to a warm and cosy home, where a crackling open log fire awaits. Lochgilphead, with its variety of shops, restaurants, swimming-pool and facilities for golf, is 8 miles away. Here, the Castle Riding Centre runs highly enjoyable riding courses, and the Kilmory Woodland Park boasts an Iron Age fort, bird hide and lochside views. A little further afield, Inveraray has a truly memorable setting, the brilliant white arches of Front Street reflected in the still waters of Loch Fyne. Attractions in the town include Inveraray Jail, now a museum recounting prison conditions from medieval times up until the 19th-century, and the neo-Gothic Inveraray Castle which is home to the Combined Operations Museum and recalls the intriguing wartime role of Inveraray as a training centre for the D-Day landings. Tour Scotland Kilmory Achnamara Oban and Argyll Holiday Cottage. This delightful holiday cottage enjoys a spectacular location above Kilmory Bay with outstanding views of Jura and Islay. The terrain is wild and rugged offering excellent walking within an area rich in wildlife. There is an abundance of historical lore to be found in this area, carved stones, medieval crosses and churches, castles and the remains of ancient settlements. Game fishing, sea angling, bird watching, water based sports or simply touring some of the most beautiful areas to be found in Scotland. Shop and pub 3 miles. Tour Scotland Portsonachan Oban and Argyll Holiday Cottage. Beautiful hill and loch views. Situated in 2.5 acres on the shores of Loch Awe, enjoying superb uninterrupted views over the loch to the hills beyond and a private harbour, is this development of four single storey detached cedar lodges. It provides the holidaymaker with first class accommodation in a beautiful part of the Western Highlands. Loch Awe is famous for its fishing which is free to lodge visitors from the shore. A slipway and mooring is provided for the boat owner and locally boats can be hired, whilst golfing, cycling, walking and bird watching are some local pastimes. Glencoe, Oban and Inveraray are enjoyable trips. Shop 10 miles, pub and restaurant 1 mile.